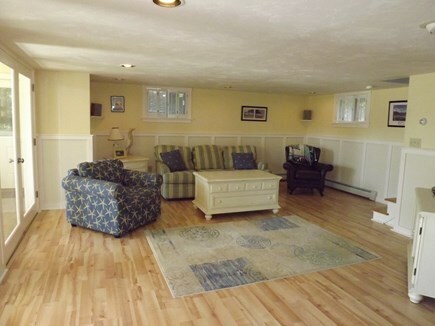 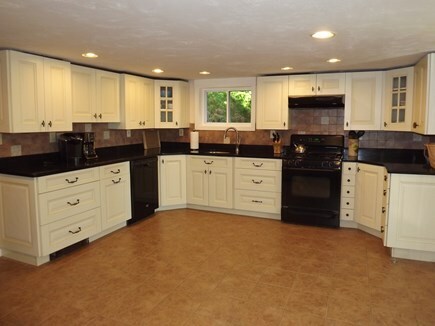 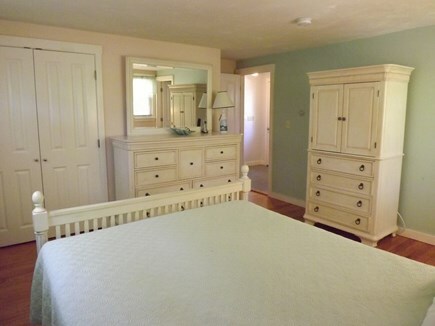 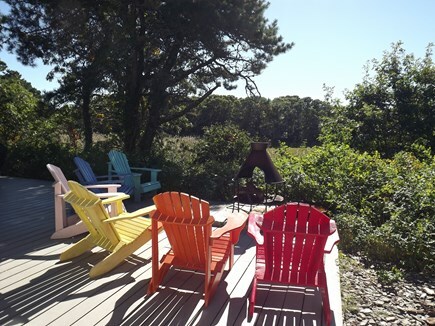 Enjoy your Cape Cod vacation in this updated, bright & airy, 5 bedroom, 3 bath, Chatham rental property. 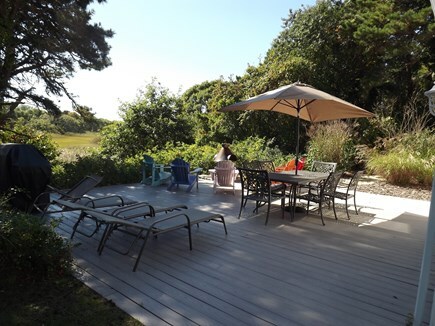 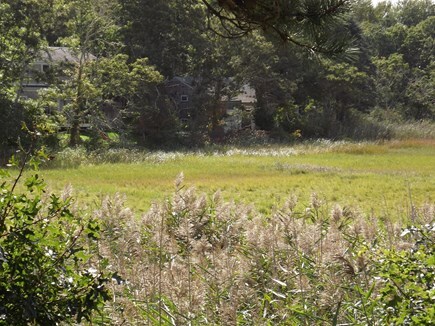 This home is located in a lovely setting with a terrific deck overlooking a saltmarsh and just 4/10th of a mile from popular Ridgevale Beach! 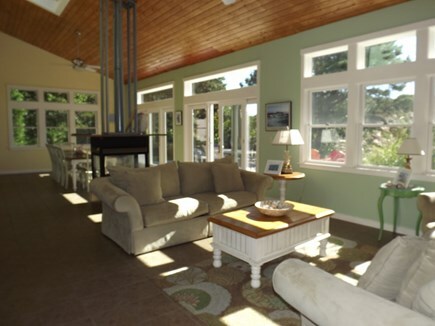 Multiple spacious living areas with many windows to enjoy the view. 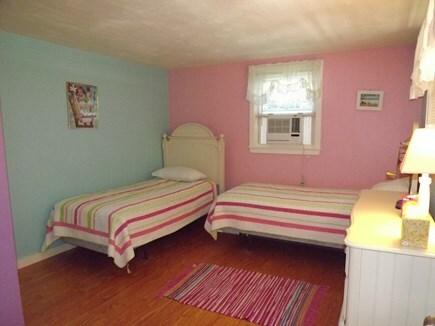 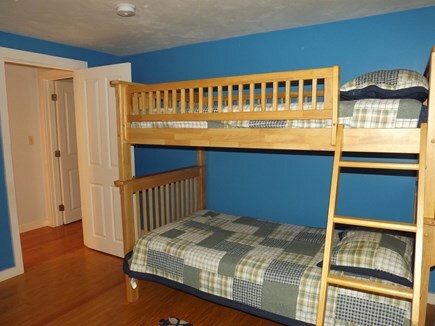 All 5 bedrooms are located on the upper floor and all except the bunk room have window AC units. 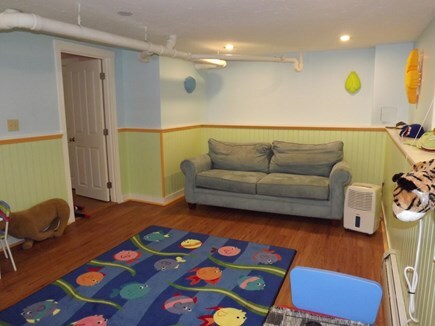 There is also an additional 'playroom' on the lower level with a queen sleeper sofa and window AC. 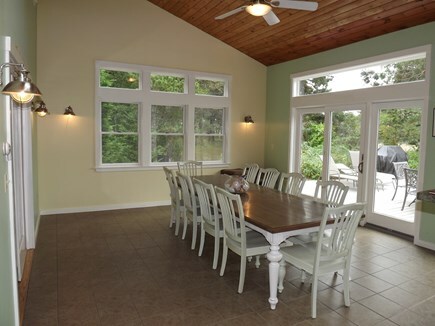 Amenities include washer, dryer, dishwasher, TV, DVD, Wi-Fi, furnished deck, patio, gas grill, and enclosed outdoor shower. 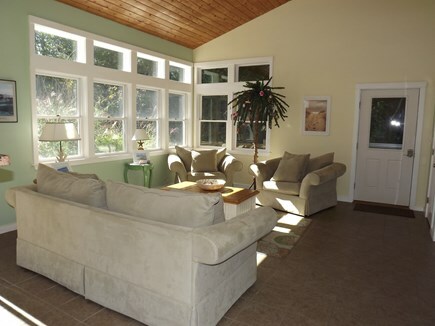 This property sleeps 10 comfortably in 5 bedrooms and 12 using the sleeper sofa bed. 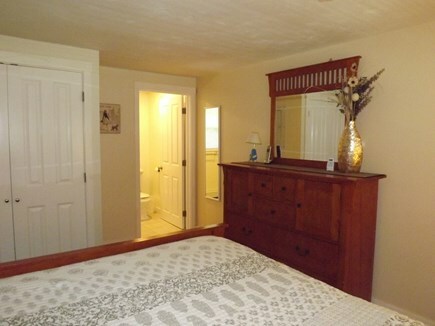 This property has a $75 administration fee, $100 accidental damage protection fee and $275 cleaning fee. 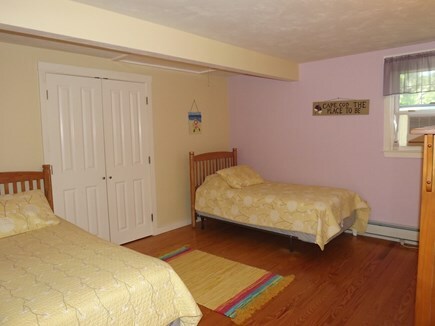 State and local taxes apply.